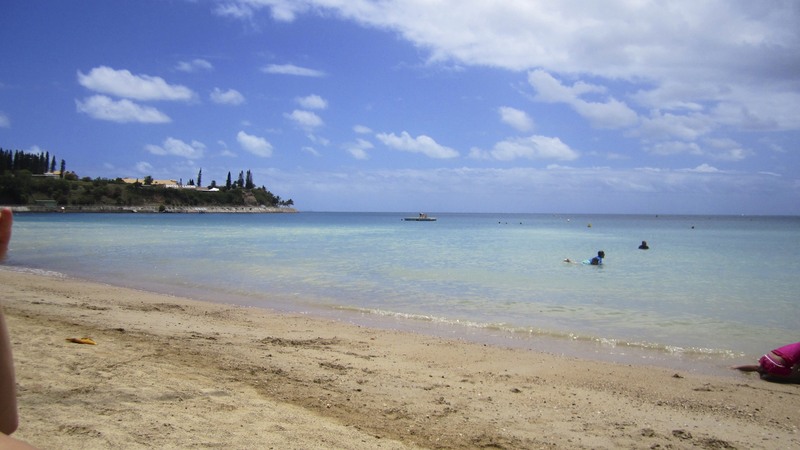 When asking friends about New Caledonia, they all said there wasn’t much to do. 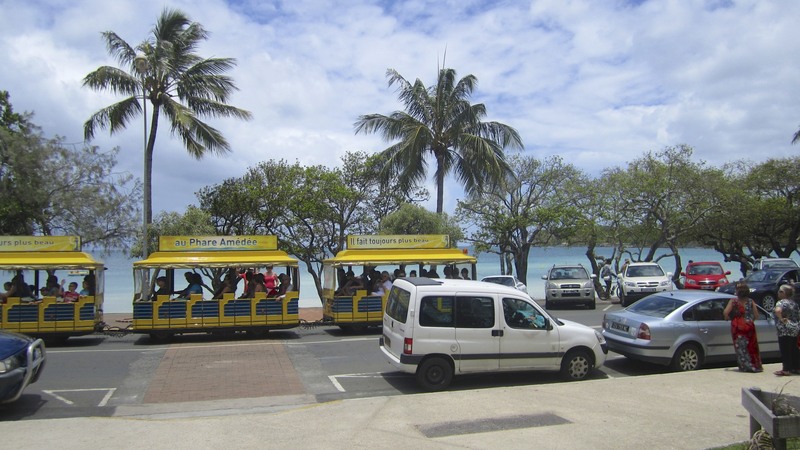 I got off the ship in Noumea with low expectations, and ended up having a great day. There was a shuttle taking guests and crew from the ship to a terminal downtown. Inside, there was an information desk, and an array of bus companies vying for attention. My group of 4 all spoke with different companies, and ended up getting a great deal on bus tickets to Lemon Beach. When we got off the bus, our first priority was food. There had been a party the night before, so we wanted greasy food. Right across from the beach, we found just what we needed! 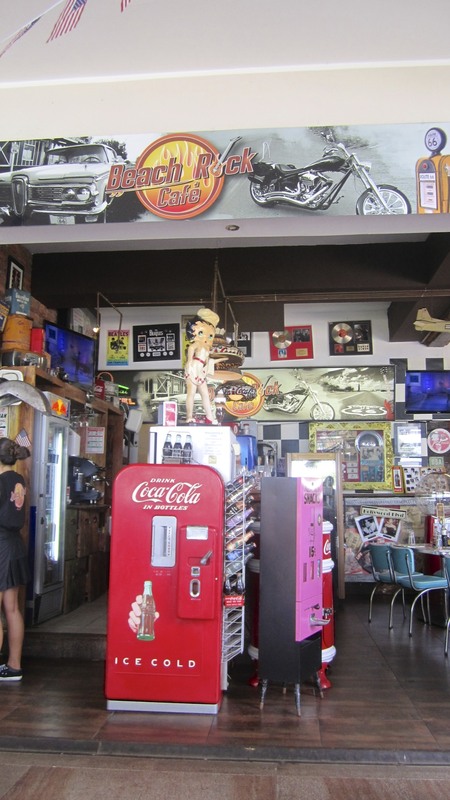 The Beach Rock Café had outdoor tables, quirky décor, Wi-Fi, and a whole menu of burgers. 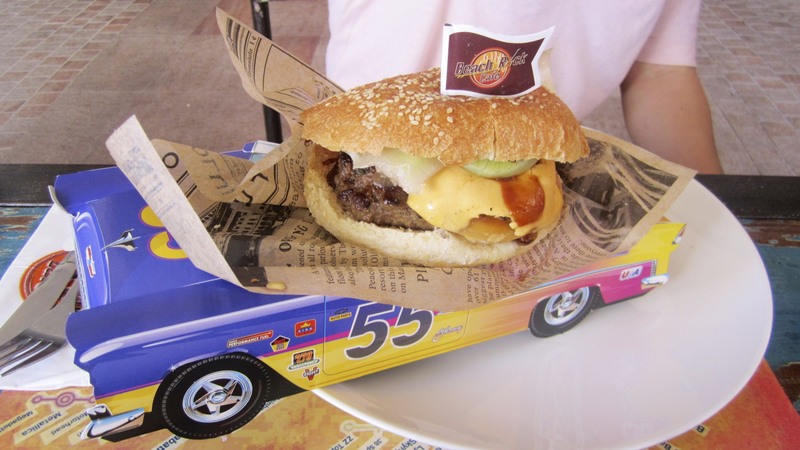 Two of my friends ordered a Cadillac burger, which came out in a paper car. It was so cute! After lunch, we hit the beach. We ran into some members of the ice cast and joined them for a game of Frisbee. As the afternoon wore on, we met up with a few other friends from the ship, including singers, stage staff, and more skaters. It was a fun group! The water temperature was warm, but I was reluctant to swim after seeing a few jellyfish while we were playing Frisbee. Instead, I attempted to sleep and then chatted with the gang. Despite my best efforts, I once again ended up with a sunburn! The trip home put a bit of a damper on the day. Our bus was supposed to come every 20 minutes, but in the 45 minutes we stood at the bus stop, only one came by and it was too full for us to get on. Worried about missing our all aboard time, we ended up riding a city bus downtown, and then running back to the terminal. We caught the shuttle back to the ship, and made it just in time. It was stressful, but luckily ended well. We’ll be returning to Noumea later this cruise, but since the port is on a show day, I won’t be getting off. I don’t need stress and sun before a show! I’m glad I made it to Lemon Beach, and hope to go back before the end of the contract.